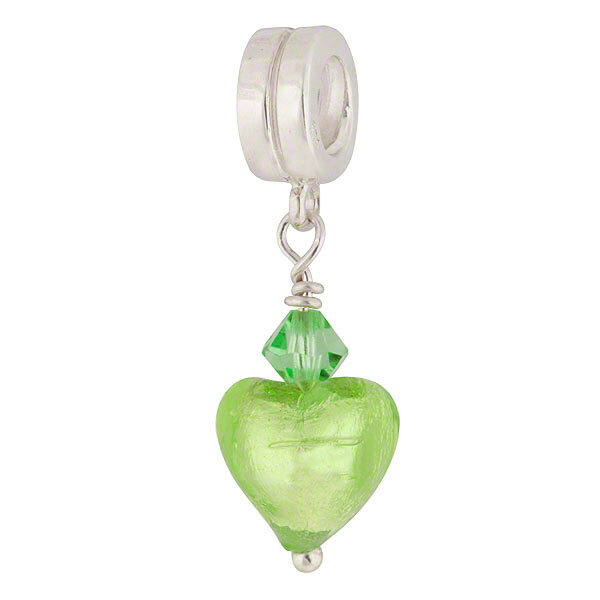 Sterling silver foil is surrounded by peridot Murano glass and hung from a sterling silver bail and accented with a Swarovski crystal to create this PERLAVITA charm. A perfect accent to any interchangeable bracelet. Compatible with PERLAVITA jewelry as well as Pandora and Chamilia beads and charms.